It's important to have a well designed website for your chapter/colony. A visually appealing website can be an effective communication tool for recruitment, alumni events, newsletters, member records, and other important information that relates to your chapter/colony. Tau Kappa Epsilon is excited to offer each chapter and colony a new and improved free website and admin portal. This Chapter Website Guide is a step-by-step plan in regards to admin portal, pages, images, newsletters, events, member information, and other key components that go into your free website. 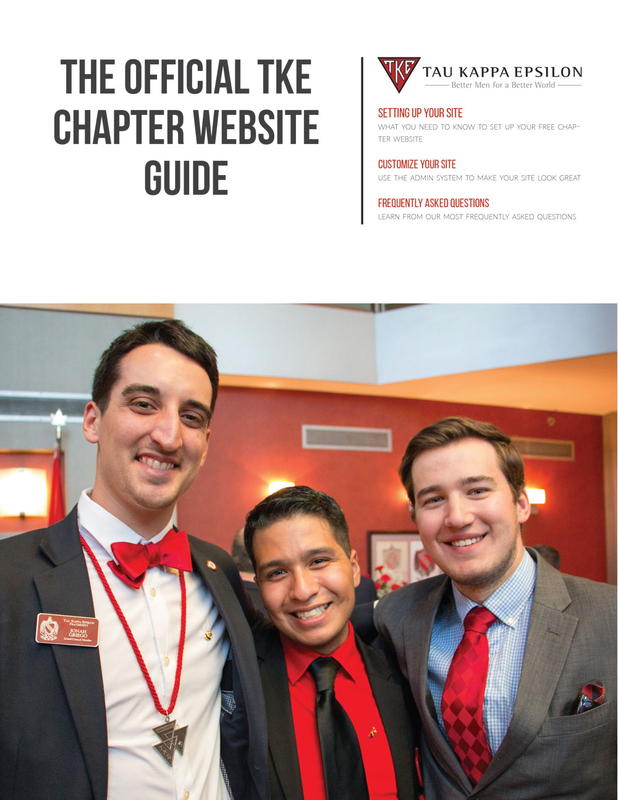 Click the image below to download "The Official TKE Chapter Website Guide"